The week after Powder Mountain closed for the ski season Ken Block rolled in with his Ford Raptor and spent the day exploring the hill. Ken is one of the best drivers in the world and his Raptor is one of the craziest trucks ever built, combine that with the runs offered at Powder and it was guaranteed to be an awesome day. When we pulled up a storm front had taken over and it was just about white out conditions, we were worried that pictures and video wouldn't turn out, but we lucked out and the snow slowed down just enough to get what we needed. The day was a complete success, Ken tore up the pow and then took off to the airport, headed to New Zealand to claim victory at the International Rally of Whangarei. 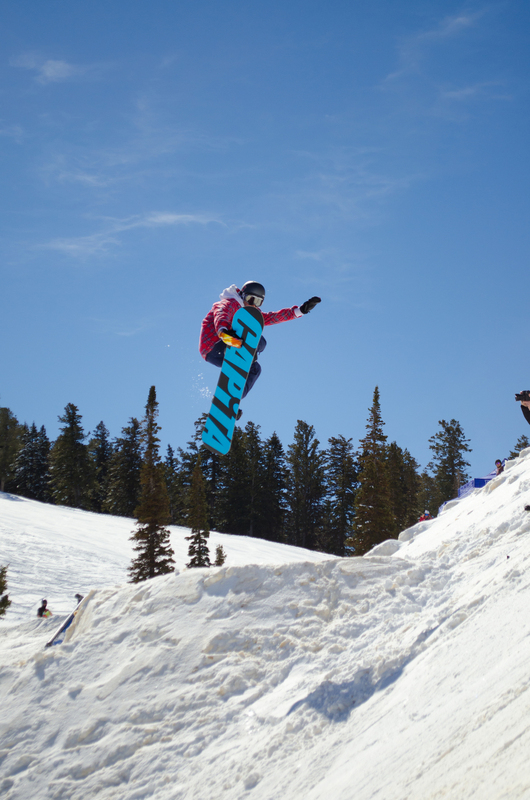 A few weeks ago Powder Mountain resort held the Powder Daze park jam. I went up to see if I could get some shots and I had a great time. The sun was shining, the music was loud and the riding was sick! Spring riding is always worth it! Okay so the slush can mess up the day a little, but it's hard to complain when you can wear a t-shirt in March!